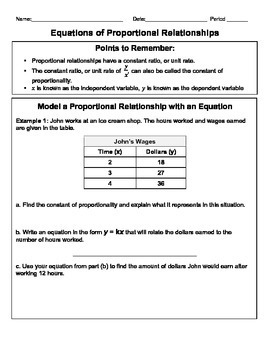 A complete, common core lesson on writing equations of proportional relationships! Includes vocabulary, class notes, examples, in class practice, homework sheet, and a review sheet! Fully aligned to 7th grade common core standards. 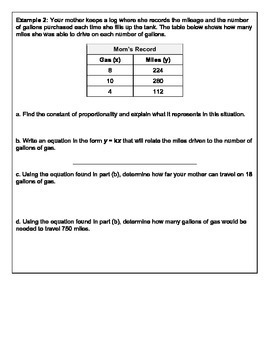 The review sheet serves as a great bell-work activity for the following day or as a formative assessment. 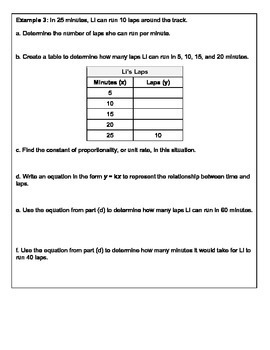 Equations of Proportional Relationships Complete Lesson by Victoria Miller is licensed under a Creative Commons Attribution 4.0 International License. 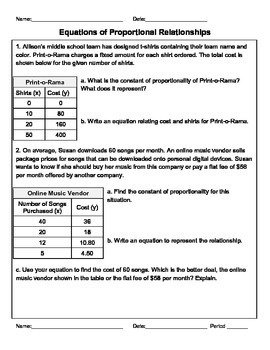 Based on a work at www.commoncore.org.